Since 1998, the FS Yachts shipyard has been offering different boats for its design, which are pleasing for its innovations, in the endless search for the highest satisfaction of its customers. The FS boats are designed by internationally renowned shipbuilders and engineers who follow the principles of not drawing inspiration from what already exists but which create trends with the bold design and intelligent solutions of FS boats. Since its foundation, the FS shipyard has been looking for continuous quality improvements in its projects and processes. The result is clear: FS has more than 95% satisfaction among its customers. FS vessels follow US and European shipbuilding standards in all stages of the production process, guaranteeing our client a vessel of international quality. The market value of a FS remains well above the national average and other shipyards, due to the great acceptance of the brand. The FS boats feature hulls designed by experienced engineers, with hydrodynamic and rolled tests impeccably only able to result in comfortable and safe navigation, whether in sheltered or turbulent waters. The FS185 was built in a small shed in Rio Grande do Sul. The success was instantaneous, giving wings to the creation of two more models of boats: FS 210 Open, FS 210 Cabin, and FS 220, in later years. In 2004, the shipyard began exporting its vessels to Canada, Slovenia, Russia, Angola and Sweden. In 2005, the FS line began to be manufactured on the Santa Catarina coast in a completely handmade process, helping to consolidate the region as the largest nautical pole in Brazil. In 2006 was launched the FS 220 High Class, a boat differentiated by its inverted targa, painting in gelcoat, teka wood in the platform, caramel upholstery and for having a center-rabeta motor. Finally, there is no shortage of differentials to classify the FS 220 High Class as the most innovative speedboat of its generation, and creator of the main trends of design and finishing in its segment. In 2011, the shipyard hired the best naval engineers in the country and planned to launch 7 new vessels, following its principles of design innovation and daring to create new trends. Two years later, in 2013, the FS275 Concept was launched, the boat that completed the new FS Yachts line and became the most successful launch of the brand so far. In 2014, FS Yachts strengthened its presence in exports and was successful in accepting FS launches in the most demanding countries in the world, with emphasis on the United Arab Emirates, a region where FS boats are among the best selling in the world. 2018 was a special year for the FS. We celebrated 20 years manufacturing boats. Few shipyards in the world have achieved such a milestone and a history based on the purest quality and satisfaction of its consumers. The FS Yachts shipyard aims to consolidate its position as one of the largest nautical industries in Brazil, expand its market share in more than 35 countries and, above all, strengthen its relationship with customers by doing what it knows best: delivering an experience the only one who sails on a FS Yachts launch! 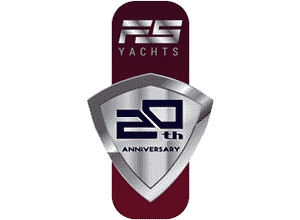 20 years ago the FS Yachts boats are famous for creating great trends in the nautical market, whether in design, colors, materials used or construction quality. 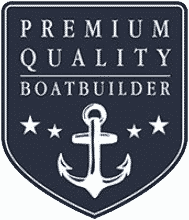 A FS boat is synonymous with quality, high standard finish and futuristic design. Recognized by all the publications of the segment with one of the largest nautical industries in Brazil. 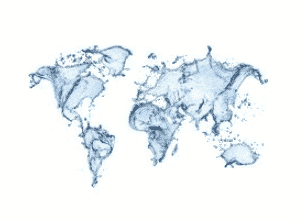 FS Yachts is present in the main nautical events, has concessionaires in practically all Brazilian states, and distributors in Asia, Europe and the Middle East.